Kiala is a storyteller, creative guide, and mixed media book artist originally from Florida, now writing & living in Northern, GA with her husband Damon. 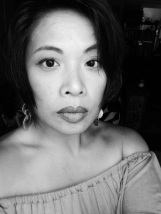 Her writing has appeared in a variety of places, including: Calyx, A Journal of Literature by Women, Affilia: A Journal of Women and Social Work, ElevenEleven, Jacket2, deadpaper.org, at the Bella Vista Art Gallery in Chicago, and in the Campanil. She earned several degrees in English, education, and curriculum design from various schools and she holds an MFA in Poetry from Mills College. Kiala also owns and operates CreativeBusinessStrategist.com where she helps writers, artists, and creative entrepreneurs build businesses they love. She is a Cave Canem fellow, a Voices of Our Nation (VONA) alum and a proud member of Delta Sigma Theta Sorority, Inc. Visit her artistic website for creative inspiration and empowerment. 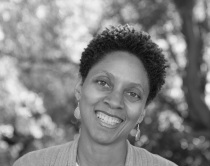 Melanie is a graduate of the MFA in Creative Writing program at Mills College. A recipient of an Elizabeth George Foundation Grant, she has attended Hedgebrook, Las Dos Brujas, and VONA. A personal trainer and fitness instructor by day (and even some nights), Mel has been known to include spoken word on a spin playlist and dash off a class reminder via a verse about burpees. Essentially, she believes in promoting personal agency through body awareness and language. Her generational markers include Octavia Butler, Wonder Woman, and several hours of Law & Order SVU. 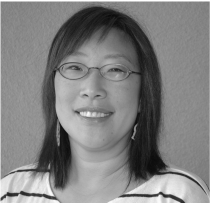 Lily is a writer and virtual assistant specializing in writing, editing, and proofreading. With a MFA in Prose from Mills College, she has taught English at a community college in Alameda, CA, and is also currently at work on a YA novel. She is proud of her time in both Voices of Our Nation (VONA) and Las Dos Brujas Writers' Workshop, where she learned to hone her craft and became especially inspired. Her short story and articles have been published in the Yellow Journal, JadeMagazine.com, and Mabel Magazine.